Single-joint exercises (aka isolation exercises) are those where one muscle group is engaged. For example biceps curl, preacher curl, leg extension, leg curl, wrist curl, front raise, lateral raise are all single-joint exercises. Technically speaking there is no typical single-joint workout. Even if the above workouts mainly focus on one particular muscle, the nearby muscle plays a small role and works as ancillary muscle. Multi-joint exercises comprise complex movements engaging more than one muscle group simultaneously. So which is the better choice between the two? Multi-joint exercises always play a better role compared to any single-joint exercise. Below are the main factors that should hopefully be enough to change your focus towards performing multi-joints workouts vs. single-joint workouts. Burn more calories. Multi-joint exercises use a large group of muscles and comprise complex muscle movements unlike isolation exercises. By working on more than one muscle group, we burn substantially more calories than doing any other isolation or single-joint exercise. Best weapon to fight fat. It's a proven fact that an intense training session comprising mostly multi-joint exercises works best for increasing the resting metabolic rate (RMR) substantially which supports a fat-burn or weight-loss program. Performing multi-joint workouts 3-4 times per week can keep your metabolism elevated up to 36 hours post exercise. Unlike multi-joint exercises, single-joint (isolation) exercises ARE NOT effective enough to keep RMR elevated post workout. Build full functional body. 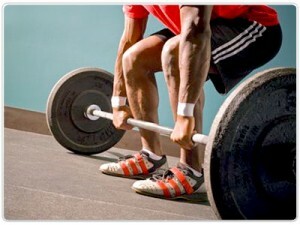 Most people tend to exercise their favorite body part only - chest, shoulders, back, quads, etc. This practice leads to an unbalanced or asymmetrical physique which decreases normal biomechanical function while increasing the risk of injury. Whereas in multi-joint exercises, multiple muscle groups engage simultaneously to work in a harmonious pattern while increasing strength and coordination along the kinetic chain. For this reason alone, multi-joint workouts are best for building a functional fit body. Squats - Recognized mostly for building powerful thighs and hips, squats also add size to the upper body - including the back, shoulders, chest, and arms - due to their anabolic effect. Deadlifts - The deadlift is another anabolic king because it not only increases lower body growth, but that of the upper body as well. Leg Presses - These enable you to use heavier resistance than do leg extensions or curls, thus promoting more muscle growth. While three or more sets each of leg extensions and leg curls mainly work the quadriceps and hamstrings respectively, three or more heavy sets of leg presses or squats will strengthen and add more mass to the quadriceps, hamstrings and glutes - in a shorter time frame! Front, Side or Reverse Lunges and Stepups - These are also excellent time-saving multi-joint lower body exercises, and they are particularly more functional for sports and daily activities than leg extensions or leg curls. Bench Presses, Dips and Pushups - When it comes to the upper body, bench presses, dips and pushups not only add mass to the chest, shoulders and back, but the triceps as well. In fact, they do it much more effectively than single-joint tricep pushdowns or kickbacks. Also, eliminate those single-joint dumbbell flyes for the chest for several weeks; these exercises will build up your chest muscles to a greater degree in less time. Overhead Presses - Excellent for shoulders and triceps. Pulldowns, Pullups, Barbell Rows, and Dumbbell Rows - You'll see your biceps grow without doing one curl; not to mention the added size of your back muscles from doing these exercises. Upright Rows - They're also a bicep and forearm-building movement, as well as a wonderful shoulder and upper back exercise. I strongly suggest practicing more multi-joint workouts complemented with single joint exercises as needed (in case multi-joint exercise is not possible every time). Whatever the case be, stay active, keep movin' & most importantly....have fun!